Jaipur based personalised learning and Home Tutor Provider Qriyo raised undisclosed amount of funding from Dubai based Neelesh Bhatnagar’s NB Ventures as part of its Series-A Funding round. Qriyo is an app-based platform which provides Home Tutors for 300+ courses. The startup provides an end to end delivery, tracking and progress report for all the courses taught by Home Tutors or Qriyo Guru. They provide Gurus for Academics, Yoga, Dance, Music, and Fitness etc. 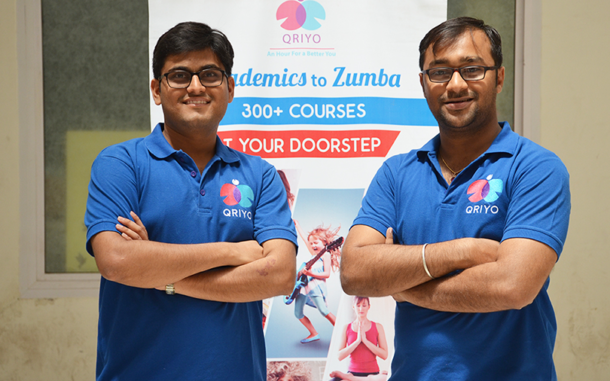 Personalised learning and Home Tutor Provider Qriyo was founded in 2015 by IIT-B Alumni, Mudit Jain & Rishabh Jain. Qriyo positioned itself as end to end Home Tutor Provider platform. It combines the power of technology with real human services to deliver best possible learning by Qriyo Gurus. The venture currently has 8000+ tutors in Jaipur, Jodhpur, Udaipur and Ahmedabad. They have 2500+ customers with 50,000+ hours of teaching delivered via their platform. They received seed round of funding from UAE based Idein Ventures in January 2016. Qriyo has separate apps for tutors ‘Gurus’ and for Students. The app enables tutors to see nearby opportunities, manage tuitions and improve knowledge. It also vets tutors using Guru Evaluation test on 17 parameters including subject knowledge, behavioral patterns like – ethics, anger management, empathy etc. The dedicated customer app enables students to check Guru Profiles, give feedback, track attendance, renew and pay for classes. They have also developed proprietary Matchmaking Algorithm which automates tutor selection process, hence customer can get single most suitable profile. The startup earns majority of its revenue via tutor commission. Talking to co-founder and CEO, Mudit described that they have different slabs for different courses ranging from 15% to 50% per month. Qriyo incentivizes tutors who are associated with them for longer duration and have good customer ratings. He said that Qriyo is also providing tutors and instructors to schools, institutes and summer camps. He informed that Qriyo has 62% renewal rate and 30% upselling. Share of organic business stands at 60% and is increasing every month. With this fresh round of funding Qriyo aims to expand its operations in Chandigarh by June 2017. They will also expand the courses offered in personalised competitive exams preparation & pet training categories. They also aim to on-board 16,000 more gurus by end of this year. With improved technology Qriyo is expecting to automate part of its support and cut Teacher Match Time to half in next 6 months. Neelesh has earlier invested in Bengaluru based startups HealthifyMe & LetsTransport. He is also a joint owner of Dubai team of Indian Tennis Premier League (ITPL) with Virat Kohli. Neelesh Bhatnagar was one of the shareholders of Landmark Group and Ex-CEO of Emax and Landmark Arabia. Previous articleThis Mumbai Based Startup Shows You Can Be a One Man Army! Next articleHow Chandigarh Based “Applancer” is Giving a Cut Throat Competition to Immediate Market Players!